The best coffee Frisco has to offer! 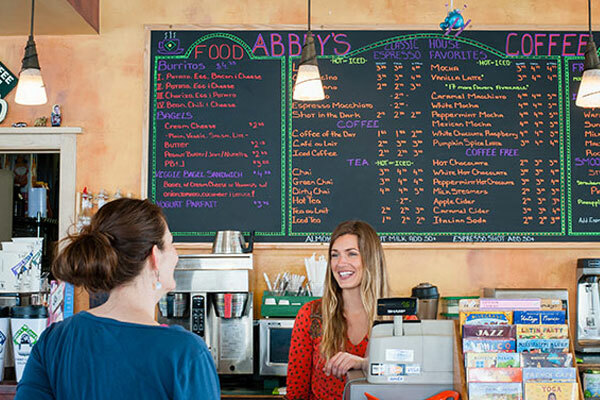 For close to two decades Abbey’s Coffee has been the "go to" spot for locals and visitors alike. 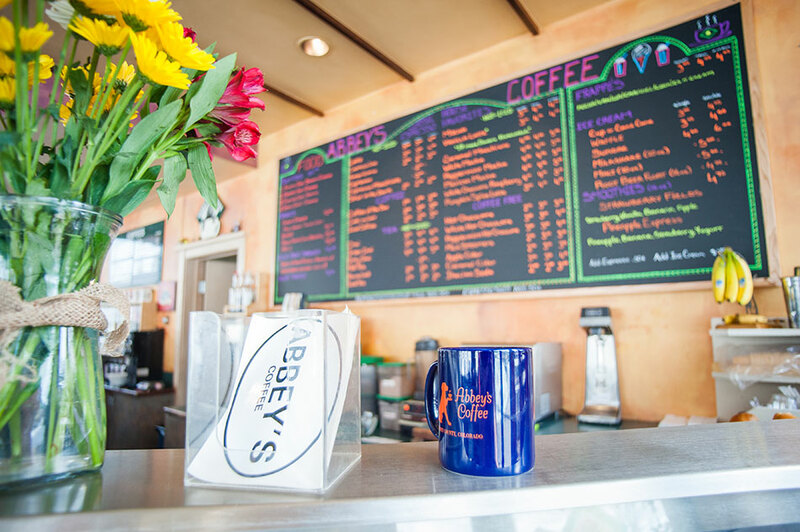 Whether it’s a stop for that pre-ski burrito, post-cycling espresso, mid-morning pick me up or just meeting with friends and colleagues, Abbey’s is always happy to see you. 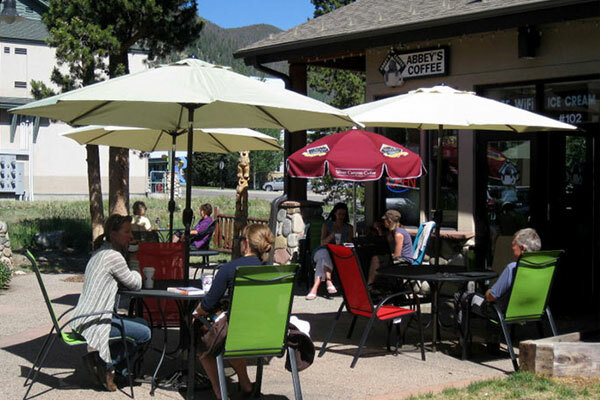 In a warm and inviting atmosphere, you can enjoy your favorite coffee drink while taking in the breathtaking vistas of Mt. Royal and the Ten Mile Range to the north or Buffalo Mountain and Main Street to the south. In the summer months, you can enjoy the view from our warm, sunny patio. 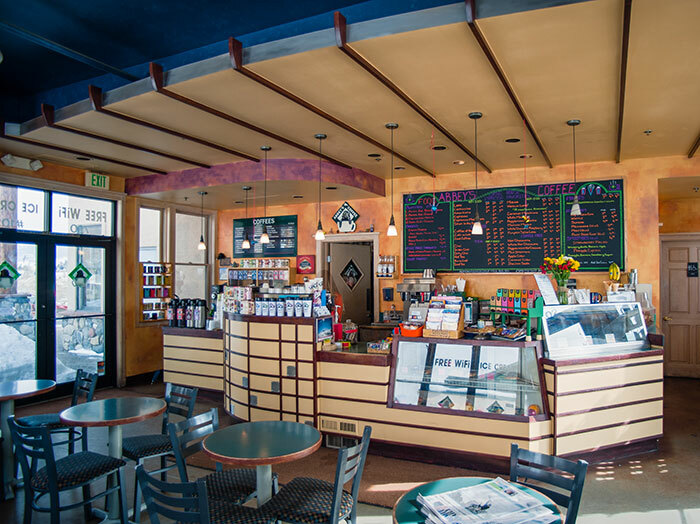 So, enjoy the best coffee that Frisco has to offer and visit Abbey’s Coffee. We are conveniently open seven days a week. Check out our image gallery, purchase products in our online store and find out more about your favorite coffee drink here on our website. We hope to see you at Abbey's Coffee soon! Did you know? In the ancient Arab culture there was only one way a woman could legally divorce: If her husband didn't provide enough coffee!